From 15th August 2018, the EU legislation on how EEE is categorized and reported throughout the EU changes. The current 10 categories used to define EEE products will be replaced by 6 new categories, three of which are dependent on the dimensions of products. With the addition of size into some categories, some countries are also taking the opportunity to rearrange their definitions of household and professional EEE, with many items under 50cm automatically being categorized as household. The legislation is also moving to an Open Scope means of classifying EEE, meaning that anything not specifically listed in the exclusions will now automatically be considered EEE. This may mean that some of your products will now be in scope whereas in the past they were not. Again, this does change from country to country, especially with regard to clothing or furniture that includes electronics, and you may find your business reporting more items in one country that another. Some countries have already implemented these changes, and some are trying to avoid making any changes to producer registrations until 2019, but the majority of countries will need your data to fit into the new categories by the end of Quarter 3. The country requiring most work to implement the new changes is Germany. The German authorities are automatically recategorizing all products. If your product is recategorized wrongly, you will need a new registration put in place, and you will have to pay the accompanying registration fee. If your company is affected by this, Accerio will be in touch. For most countries, a quick chat with your account manager about the products you sell and their sizes should suffice. You will have to start including your product sizes in your data reports. See below for more information on how to measure your products. The new general categories are below. Please note, each country may also implement their own subcategories. Temperature exchange equipment is electrical and electronic equipment (“EEE”) with internal circuits where substances other than water – e.g. gas, oil, refrigerant or a secondary fluid – are used for the purpose of cooling and/or heating and/or dehumidifying. Examples: Refrigerators, Freezers, Equipment which automatically deliver cold products, Air-conditioning equipment, Dehumidifying equipment, Heat pumps, Radiators containing oil and other temperature exchange equipment using fluids other than water for the temperature exchange. Not Included: Ventilation equipment (e.g. fan, hot-air blower, fan coils etc. ), infrared equipment, or water radiators, and in general all equipment using water without additives or refrigerants for the temperature exchange. Screens and monitors are EEE intended to provide images and information on an electronic display such as cathode ray tubes (CRT), liquid crystal displays (LCD), light‐emitting diode (LED) displays or other kind of electronic displays. Additionally Open Scope includes under category 2 other equipment containing screens having a surface greater than 100 cm2. However, not all equipment containing a screen greater than 100 cm2 falls under category 2. Only EEE with a screen-surface greater than 100 cm2 and whose intended usage focus is displaying images or information on a screen is allocated to category 2. Equipment such as Laptops, Notebooks, Tablets, eBook-/e-Readers with a screen surface greater than 100 cm2 shall be considered under category 2, but not equipment like washing machines, refrigerators, printers, mobile phones (smartphones, phablets etc. ), even if they have a screen surface greater than 100 cm2, because their intended usage focus is not displaying information on a screen. a) All small IT equipment, such as mobile phones (smartphones, phablets etc. ), GPSand navigation equipment, pocket calculators, telephones etc. (such EEE is allocated to category 6). b) EEE that may contain screens with surfaces greater than 100 cm2, such as some refrigerators, automated teller machines, body care equipment, industrial machinery, medical devices, printers, photocopier etc. Lamps in every size are “equipment for the generation of light”, which means electrical light sources (including LED lamps but not LED luminaires) which can be installed or exchanged by the end‐user in specific electric and electronic devices such as luminaires, projectors, solariums etc. Examples: Straight fluorescent lamps, Compact fluorescent lamps, Fluorescent lamps, High intensity discharge lamps ‐ including pressure sodium lamps and metal halide lamps, Low pressure sodium lamps, LED lamps. Luminaires: an apparatus which distributes, filters or transforms the light transmitted from one or more lamps and which includes all the parts necessary for supporting, fixing and protecting the lamps and, where necessary, circuit auxiliaries together with the means for connecting them to the electric supply. The words “luminaire” and “lamp” are often mixed up. Luminaires are allocated to category 4 or 5. Luminaires with fixed lamps (that cannot be removed without damaging the unit) are also considered as luminaires. EEE that is not allocated to categories 1, 2 or 3. Any external dimension is more than 50 cm. The external dimensions of the equipment needs to be measured in a status ready for use. For correct measurement of EEE see here. Examples: Washing machines, Clothes dryers, Dish washing machines, Cookers, Electric stoves, Electric hot plates, Luminaires, Equipment reproducing sound or images, Musical equipment (excluding pipe organs installed in churches), Appliances for knitting and weaving, Large computer‐mainframes, Large printing machines, Copying equipment, Large coin slot machines, Large medical devices, Large monitoring and control instruments, Large appliances which automatically deliver products and money, Photovoltaic panels. Household appliances; IT and telecommunication equipment; consumer equipment; luminaires; equipment reproducing sound or images, musical equipment; electrical and electronic tools; toys, leisure and sports equipment; medical devices; monitoring and control instruments; automatic dispensers; equipment for the generation of electric currents. Not Included: Refrigerated vending machines (category 1), large screens (category 2), large lamps (long fluorescent tubes) (category 3) etc. EEE that is not allocated to categories 1, 2, 3, 4 or 6. No external dimension is more than 50 cm. The determination of dimensions follows the definition provided for category 4 above. If then the largest outer dimension is 50 cm or less and it’s not IT or telecommunication equipment it meets the definition of category 5. Examples: Vacuum cleaners, Carpet sweepers, Appliances for sewing, Luminaires, Microwaves, Ventilation equipment, Irons, Toasters, Electric knives, Electric kettles, Clocks and Watches, Electric shavers, Scales, Appliances for hair and body care, Radio sets, Digital cameras, Video cameras, Video recorders, Hi‐fi equipment, Musical instruments, Equipment reproducing sound or images, Electrical and electronic toys, Sports equipment, Computers for biking, diving, running, rowing, etc., Smoke detectors, Heating regulators, Thermostats, Small Electrical and electronic tools, Small medical devices, Small Monitoring and control instruments, Small Appliances which automatically deliver products, Small equipment with integrated photovoltaic panels. Household appliances; consumer equipment; luminaires; equipment reproducing sound or images, musical equipment; electrical and electronic tools; toys, leisure and sports equipment; medical devices; monitoring and control instruments; automatic dispensers; equipment for the generation of electric currents. Not Included: Small IT equipment with external dimension less than 50 cm (mobile phones (e.g., smartphones, phablets etc. ), routers, printers, GPS and navigation equipment etc.) is allocated to category 6. EEE that is not allocated to categories 1, 2, 3, 4 or 5. Information equipment is equipment that can be used for collecting, transmitting, processing, storing and showing information. Telecommunication equipment is equipment designed to transmit signals – voice, video and data – electronically over a certain distance. The determination of dimensions is the same as for category 5. If then the equipment is IT or telecommunication equipment it meets the definition of category 6. Examples: Mobile phones (smartphones, phablets etc. ), GPS and navigation equipment, Pocket calculators, Routers, Personal computers, Printers, Telephones. Not Included: Small equipment that is not IT and telecommunication equipment (e.g. mp3 players etc. ), large IT equipment (large printers) and IT equipment with screens greater than 100 cm2 (laptops, tablets, eBook-/e-Readers etc.) that are in category 2. You can see some examples of how to measure different items here. As a general rule, the external dimensions of an EEE shall be measured in a status ready for use but without parts and accessories such as hoses, tubes and cables. Power cables, fixed or detachable, are also not measured with the EEE. If the EEE has fixed retractile or foldable parts (e.g. antennas or articulated arms) it shall be wrapped in its most compact form in order to minimize the impact on the measurement. For example, a household water kettle with long flexible cable can be categorized at smaller than 50cm even if the flexible power cable would be 100 cm long when extended. In case of rectangular equipment the largest height, width or depth of the EEE is relevant. Screens and monitors are measured by total surface area. If their total surface area is less than 100cm, they will not be classified as screens and we will therefore need their largest height, width or depth as above. For round equipment the largest diameter is applicable. Along with the advent of great changes in the United Kingdom with Brexit, in 2019 the fees for Producer Compliance Schemes in the UK will also change. The new pricing is advantageous to non-UK Producers distance selling into the United Kingdom, with the exception of non-UK based large producers who do not have VAT registration seeing a steep rise . For UK based producers however there is a something of a financial sting with significant fee increases from the current rates. *A small producer is a manufacturer who places less than 5 tonnes of EEE on the UK market annually. An important Extended Producer Responsibility update is coming for batteries in Germany, with the German Federal Environment Ministry to publish a new draft law in the coming months. Who Is Likely To Be Taking Charge? The changes are expected to include the introduction of a new national authority, which is likely to be an extension of the Stiftung EAR’s current mandate to manage WEEE in Germany. 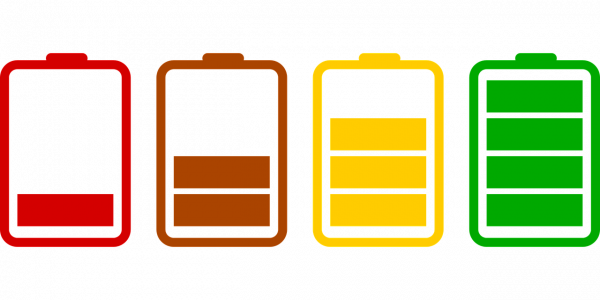 This new battery authority will operate in a similar way to the WEEE National Authority management, including managing tasks such as the registration of producers and the collection of put-on-market (POM) data, and take-back volume specifications. The full range of tasks will become available once the new law has been formally announced. The role of GRS Batterien Foundation is expected to change completely. Currently, GRS is operating the largest common collection scheme for portable batteries in Germany for most producers. However, in the future they will operate in a more general capacity by focussing on running awareness and informational campaigns, and undertaking research and development. Membership with GRS will no longer be an option. Consequently, producers will have to comply through other take-back systems. Accerio will explore these options for you. A positive outcome for stakeholders will be a partial alignment of the Batteries Act with the WEEE Act, and the commensurate advantages of both to be managed by the one National Authority providing the convenience of doing everything with one authority as opposed the inherent complication of dealing with multiple organizations. The down side will be an anticipated increase in battery recycling fees due to the additional administrative layers and overall complexity of the proposed system. For now it’s business-as-usual. Accerio will closely monitor the market situation and will let you know once action is required. For companies selling EEE in India, there have been some big changes triggered by the amended E-Waste Rules of 2016 that might affect operations, with far stricter enforcement of the laws, and significant stings for companies caught out not complying. Recently the Indian government has shifted the responsibilities for WEEE compliance from a State run system into a centralized management approach, operated by the Central Pollution Control Board (CPCB), and have increased enforcement in a big way. What Might Happen To My Imports? Non-compliant imports may be subject to being held up in customs until the producer is correctly registered. To complicate things further, getting hold of someone in the government office to answer questions or to help process applications is not easy, and having a contact who knows the system and can arrange things on your behalf makes a very big difference in time and money. How Does WEEE and E-Waste Work In India? The Indian EPR framework has a few unique features. All stakeholders in the supply chain from start to finish must apply for authorization. Producers and manufacturers both have WEEE obligations, the latter because so much manufacturing occurs in India that under the same E-Waste law producers who are manufacturing in India are also held responsible for the environmental impact of the waste and by-products created during production. What products are considered in scope varies from the European model, and parts used for refurbishment and repair are included. There are specific requirements for reporting and marking products, with sales backdated as part of the requirement. Can I Become Registered in India? As part of the more stringent adherence to the laws the CPCB has a published list of companies who have properly registered. If you suspect you may have WEEE Obligations in India and would like to be on that list, or if you need to get a shipment released that is currently stuck in Indian Customs, please contact Accerio, we are here to help!